Chennai Super Kings online tickets booking for IPL 2019 is placed here. Looking to buy the Chennai Super Kings tickets for the 12th season of the Indian Premier League? Here’s more information on how you can do just that as the defending champions take the field for the 2019 edition of the IPL. The tickets for the season 12 of the IPL for the Chennai Super Kings home games can be bought either online or directly from the stadium as has been the case in the previous few years. The opening match CSK vs RCB tickets sales begins on the 16th of March both online and at the MAC Stadium from 11:30 AM onwards. Waste no time and purchase CSK IPL tickets for all their home games either online or directly from the Chepauk stadium’s booking window. 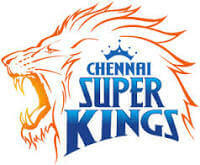 Chennai Super Kings tickets online booking is made available on BookmyShow. The minimum IPL tickets price in Chennai ranges from Rs 1300 and goes up to Rs 6000 for premium hospitality tickets. All that needs to be seen is whether the Chennai Super Kings will be able to play all their home games at Chennai unlike the previous season when they were forced to play them in Pune. It was such a brilliant comeback from CSK as they came back from being suspended in the previous two seasons and went on to win the title. MS Dhoni will continue to lead the CSK squad, but what’s interesting to see is that the squad this time isn’t too different from the one that played last year. Dhoni will have the likes of Suresh Raina and Faf du Plessis as his senior batsmen in the side with last year’s man of the match in the IPL final, Shane Watson also joining in at the top of the order. Ambati Rayudu, whose India career was resurrected after it looked it was going nowhere following last season’s IPL, will be an integral part of the squad, as will be Kedar Jadhav and Ravindra Jadeja. Jadhav won CSK one game last season but he was injured immediately after that and it will remain to be seen how he goes after that. The likes of Lungi Ngidi, Imran Tahir and Mitchell Santner will lead the bowling, while Indian bowlers in the squad include Mohit Sharma, Deepak Chahar and Karn Sharma, with Harbhajan Singh continuing to hold on to his place in the side. Watch all the games from the stadium and book your Chennai Super Kings tickets now. Ensure you do not miss out on all the fun and you get your match tickets before they are sold out. Fans from all around the country will look to follow and support their side by going for matches that the Chennai Super Kings play at home as well as away. Each IPL follower would want to see Mahendra Singh Dhoni with his tactical brilliance in action. CSK tickets booking for crunch games against arch-rivals Royal Challengers Bangalore and the gritty and mighty Kolkata Knight Riders should be bought at the earliest time possible. Chennai Super Kings as they have proved in the previous season certainly has the ammunition to reach the knockout stages of the competition. Do you think they can procure their third title? If you do then, back them all the way by being present at the stadium. IPL 2019 tickets booking for Chennai Super Kings details is placed above.